Read more and buy online here. 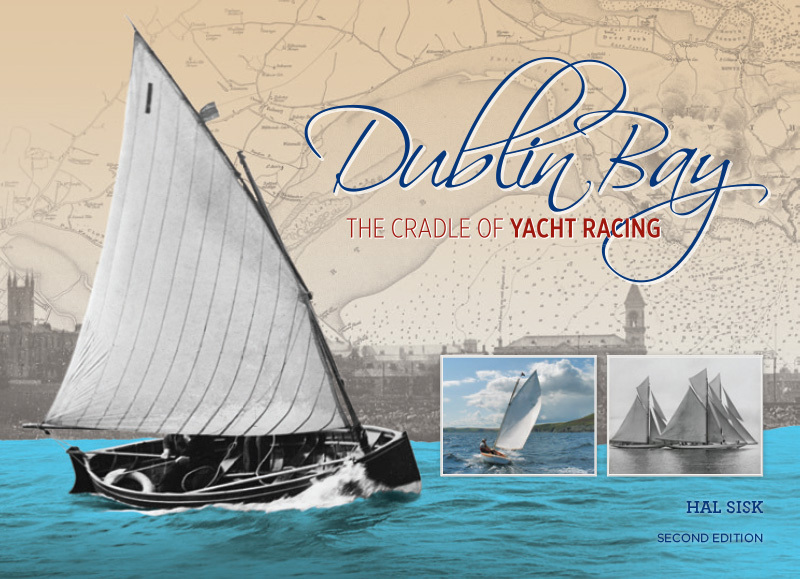 The revised second edition of Hal Sisk’s popular book, DUBLIN BAY – THE CRADLE OF YACHT RACING has arrived. Irish yachting historian and Peggy Bawn Press founder, Hal Sisk, reveals how the worldwide sport of yacht and dinghy racing was popularised and formatted by the pioneering yachtsmen of Dublin Bay. – Larry Power, Commodore, National Yacht Club, Dún Laoghaire. – Ian Nicolson, yacht designer, surveyor and author. – Llewellyn Howland III, yachting historian and antiquarian book dealer, Boston, USA. “Well worth reading… Hal is a great devotee of the sport of sailing and a doyen amongst those who debate the history of going afloat. – Tom MacSweeney, This Island Nation blog at afloat.ie. This entry was posted in Big Class, book, Dublin Bay - The Cradle of Yacht Racing, G.L. Watson, gift, Hal Sisk, Irish yachting, other yacht designers, yacht clubs, yacht design, yacht racing, yachting history and tagged Dublin Bay, Dublin Bay Sailing Club, George B. Thompson, gift, International Sailing Federation, International Yacht Racing Union, IYRU, Marconi, RYA, The Racing Rules of Sailing, Vanderdecken, Water Wag, Yacht Racing Association, YRA. Bookmark the permalink. I’m interested to see that Hal Fisk says the first singlehanded race was an 1872 event in Ireland. What about the one that was sailed on the Clyde on 4 July 1863, reported in detail in Hunts?